Some of the biggest airlines in the United States have emerged in opposition to the government's divisive family separation policy, which has seen children detained by immigration officials at the US-Mexico border and housed in detention centers throughout the country. United Airlines, Frontier, and American Airlines, all of which contract with the government to offer travel for officials on various levels, issued statements on Wednesday, declaring their opposition to the policy, which was put into place by US Attorney General Jeff Sessions and Trump administration officials in April. 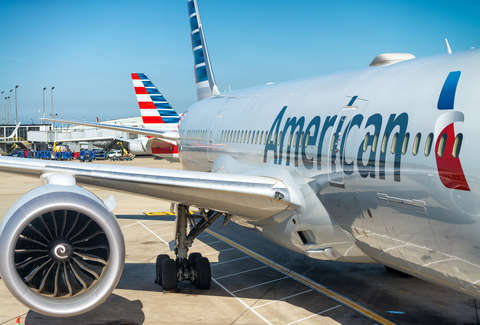 "The family separation process that has been widely publicized is not at all aligned with the values of American Airlines -- we bring families together, not apart," American said in its statement. "We have therefore requested the federal government to immediately refrain from using American for the purpose of transporting children who have been separated from their families due to the current immigration policy." United CEO Oscor Munoz said the carrier has contacted federal officials and instructed them not to use United aircraft while transporting children. As noted by NPR, the outcry follows a Facebook post written by a flight attendant, which expressed her co-worker's horror at having to service a flight carrying 16 detained children. "Children! Thirty-two scared eyes looking straight forward dazed. We try to speak, yet none speak English," the post reads. "During the beverage service, one of the crew comes to me in tears. They can't face these children that have been ripped from their families with a smile." NPR notes the post's veracity has been called into question, although a spokesperson from the Association of Flight Attendants-CWA union confirmed its authenticity to the Arizona Republic. The union claimed "the original Facebook post was authentic and written by a flight attendant," the paper writes.